ARIES (March 21 to April 19): A little “wool-gathering” for the usually productive Lamb is all right if it helps you unwind. But be careful; too much daydreaming can put you behind schedule in your work. TAURUS (April 20 to May 20): A work problem is close to being resolved. Now you can go ahead and celebrate the week, accepting invitations from friends who enjoy your company. GEMINI (May 21 to June 20): Getting your new plan accepted won’t be a major hassle if you have the facts to back it up. Your supporters are also prepared to help you make your case. Good luck. 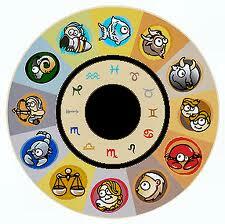 CANCER (June 21 to July 22): Dealing with a pesky job problem might be time-consuming but necessary. The sooner you get this situation settled, the sooner you can move on to other matters. LEO (July 23 to Aug. 22): Career advancement is favored thanks to your impressive work record. On the personal side, you should soon hear some good news about an ailing family member. VIRGO (Aug. 23 to Sept. 22): There might be mixed signals from a certain someone who doesn’t seem all that certain about their intentions. Best to sort it all out before it becomes more confusing. LIBRA (Sept. 23 to Oct. 22): Get all the facts about that investment “opportunity” before you put even one dollar into it. There could be hidden problems that could prove to be costly. SCORPIO (Oct. 23 to Nov. 21): Compromising on a matter you feel strongly about not only ends the impasse, but can be a win-win deal for all. Remember: Scorpios do well with change. SAGITTARIUS (Nov. 22 to Dec. 21): With all the demands you currently have to deal with, accepting the help of family and friends could be the wisest course to take at this time. CAPRICORN (Dec. 22 to Jan. 19): Recent upsetting incidents might have left you with a big gap in your self-assurance. Refill it by spending time with those who know how worthy you really are. AQUARIUS (Jan. 20 to Feb. 18): A dispute about money needs to be resolved quickly, before it festers into something more serious. Consider asking an impartial colleague to mediate the matter. PISCES (Feb. 19 to March 20): A soft approach could be more effective than making a loud demand for the information you need. You might even find yourself with more data than you expected. BORN THIS WEEK: You’re sought out for the wonderful advice you’re able to offer to others. And sometimes you even take it yourself.